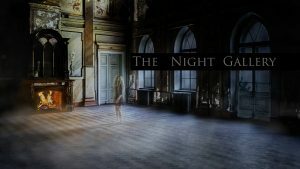 Bleedingham Film Festival invites you to crawl out of your coffin and come kickoff the Halloween weekend with us at The Night Gallery! We’re bringing together a delightfully macabre gathering of artists, crafters, writers, ghost hunters, tarot readers and more for one night only at The Majestic in downtown Bellingham on Oct 26, from 5-10pm! Aslan Brewing Company will be joining forces with us this year and will be there selling some of their delicious brews! This event is free to attend, but donations are appreciated! Donations help us pay for the costs of the event and anyone who donates will get a raffle ticket to win cool prizes! So slither on over and get scary with us as we celebrate in a swanky ballroom! Inside you will find creepy art, decor, and accessories to fulfill your dark side, enjoy tasty brews, maybe win some prizes, check out some filmmaking panels and enjoy spooky entertainment throughout the evening! 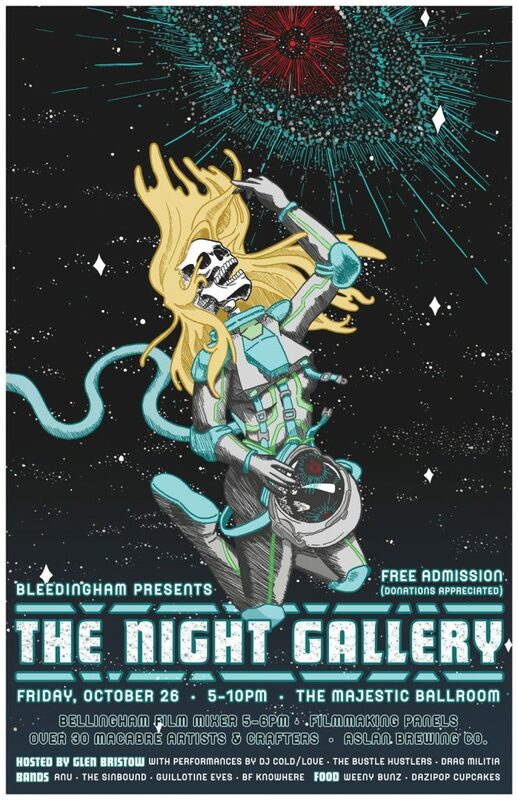 5-6pm Bellingham Film Mixer at Bleedingham’s Night Gallery! 6pm – Guest Panel: Special Effects Artist, James Fairley will share insight on industry professional practical effects! 7pm – Guest Panel: Legendary production designer, Mick Strawn: Behind the Screams! Bellingham’s own Glen Bristow will be your host for the evening to guide you through the night! DJ Cold/love will be there spinning gothic and macabre tunes to ease your troubled soul.